Creating Memories and building human spirit through events and programs such as the Heritage Ranch Rodeo. 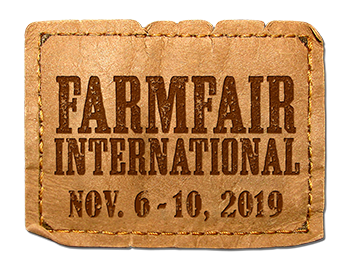 Investing in our Future by supporting the efforts of 4-H Alberta through 4-H Family Day at Farmfair International and offering onsite educational opportunities for local schools. Recognizing the contribution and efforts of our Agricultural Community through programs such as the Farm Family Awards. Providing leadership in the agricultural and food sector and supporting the tradition of agricultural excellence in our province through our Livestock Innovation Showcase. Northlands invests and provides over $1.2 million in cash and value into the community. The range of our contributions are extensive and reflect the business sectors in which we operate but also extend out to address core community needs. We encourage you to navigate through our community page to not only view Northlands and its partners’contributions, but to see how you can join in our effort to make a difference. If you are interested in volunteering for any of our Northlands events, please visit our Northlands Volunteer Page.